After a long day at the office we went out with the client (Marco from Descosur) and our Symantec Service Corps partner (Mike from Pyxera) to Club International Arequipa. The visit turned out to be very eventful! The club is huge – see map! It takes 5 minutes to drive around it, and it has every Peruvian sport covered. No, they don’t play Cricket or Aussie Rules! 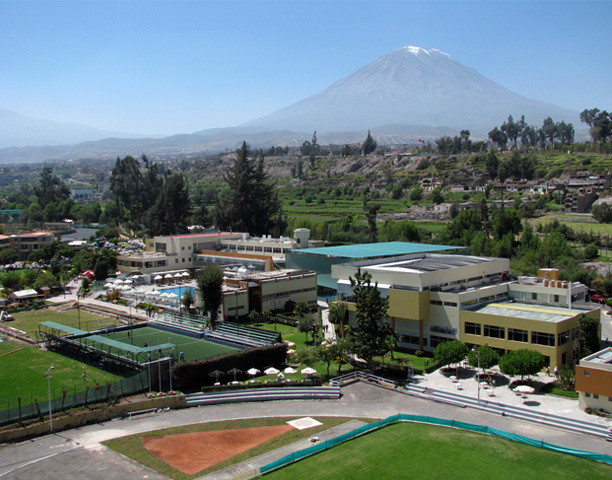 ; ) But they did have facilities for: Athletics, Basketball, Bowling, Bocci Ball, Chess, Football, Gymnastics, Martial Arts, Shooting, Swimming, Table Tennis, Tennis and Volleyball. Additionally, they had a bar and lots of small food vendors. One hell of a club of which to be a member! After a quick tour of the facilities on foot, we caught up with Mike at the pool and sat down for sandwiches / hotdogs and beer. Food was tasty! 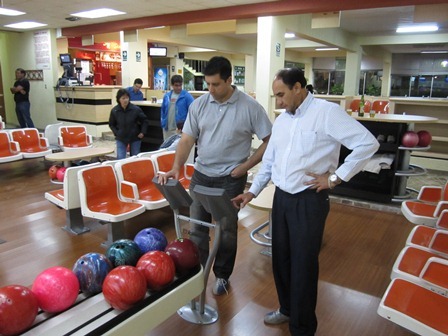 : ) We heard from Marco that the club is typically packed on Sundays … And then it was onto bowling! From all the pre-game banter we antipated Kamal & Marco would be the star bowlers ; ) So, we split up into two teams: Kamal + Craig (The Justice League) vs Marco + Chris (The Avengers). First Game: first game was close, mid-way through the frames I was just ahead of Craig, but Kamal had a larger lead on Marco. Kamal was nailing the pins with 35kph (22mph) balls; myself at a moderate pace of 29kph (18mph); and Craig & Marco at leisurely 23kph (14mph). ; ) The Avengers were hoping Marco could close the gap with Kamal, and I would gain a larger lead on Craig. However, Craig had a big surpise for us! 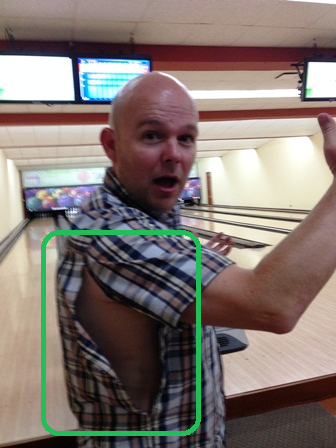 Craig opened the final frame … and bowled a Turkey! That’s three consecutive strikes! Quite a surprise as earlier in the game he’d bowled one strike and 8 open frames. Enraged by the opposition’s jump ahead in the score one of The Avengers revealed their true identity, I turned green, tore my shirt open and evened the score with Craig by bowling a spare! ; ) With myself & Craig tied on 111 it wasn’t looking good for The Avengers! 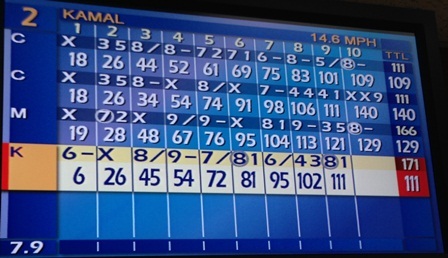 Kamal bowled well with a strike and a spare in the last frame finishing with an impressive 171 points! Marco put on his eye patch (The Colonel from Avengers) and bowled a spare. Unfortunately it was Game Over for The Avengers! Second game: this time in the early frames it was neck and neck for all until the mid-frames. 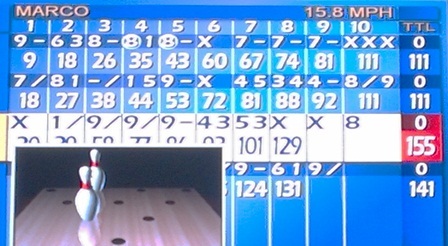 Myself & Craig were bowling the exact same scores for the first five balls, i.e. every bowl dropping the same number of pins. And regretably Kamal & Marco were not having much luck – bowling a number of open frames! Kamal even had a late falling pin that failed to register on the system, so he missed out on the score for a strike. However, from the mid-frames The Hulk – no longer constrained by the sleeve of his shirt – put his green nose in the lead. ; ) In the last frame I closed the last frame with 2 strikes (a Double) and a 9. Putting myself on 140 and The Avengers in the lead. Although Kamal closed out with a spare, The Avengers remained in the lead!